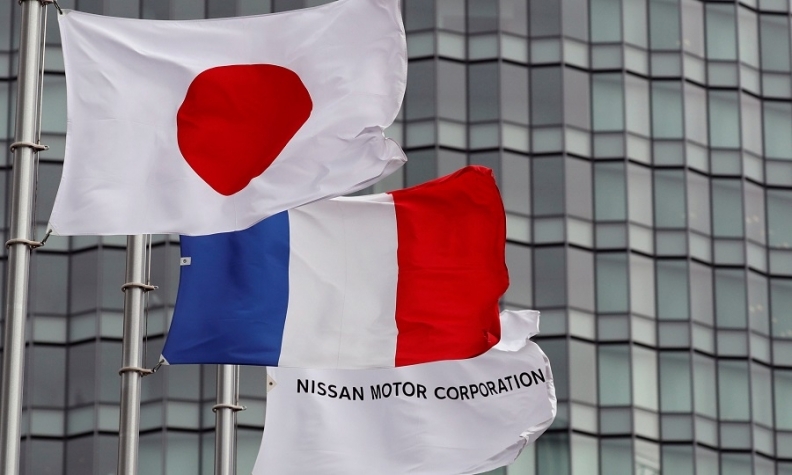 Flags of Japan, France and Nissan outside Nissan's global headquarters in Yokohama. 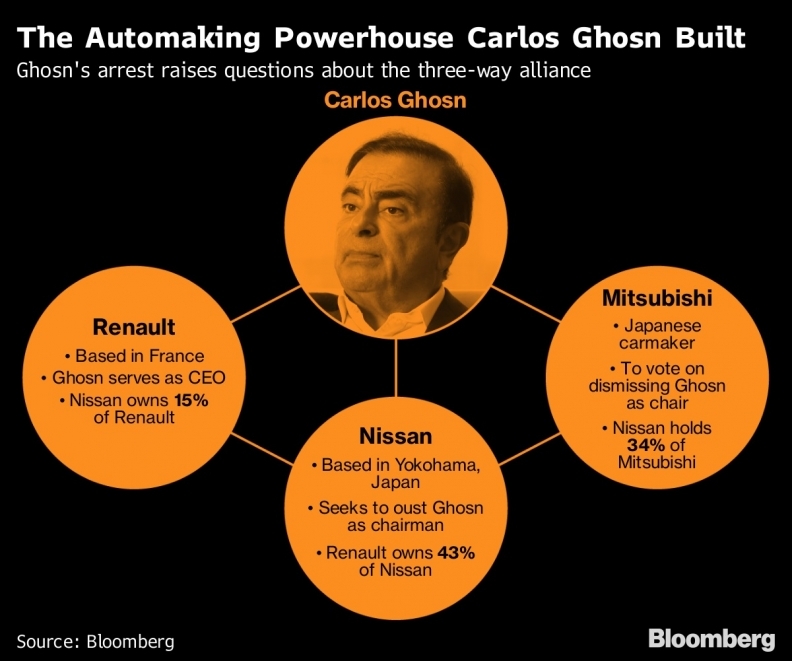 TOKYO -- Nissan will seek a review of the shareholding structure of its alliance with Renault, moving to create a more equitable partnership between the two automakers just days after Carlos Ghosn's shock arrest, according to a person familiar with the plans. The plan signals Nissan is moving swiftly to gain a stronger position in the alliance, with Ghosn out of the picture. Ghosn steered both Renault and Nissan for years and had worked toward a merger of the companies. He was removed as Nissan’s chairman Thursday after his arrest in Japan for suspected financial offenses. The balance of power at Nissan is now tilted toward CEO Hiroto Saikawa, who has emerged as a driving force behind the investigation into Ghosn’s alleged wrongdoing. Saikawa, an opponent of a merger between the companies, may be seeking to improve the Japanese carmaker’s bargaining position in a partnership he says has for too long favored the French side. One person familiar with the Renault management team said they knew Nissan had long been angered by Ghosn's abuse of company resources -- using the company jet on personal trips and handing his sister a bogus job. That behavior had been tolerated for years because he was considered so important to the company. Renault owns 43 per cent of Nissan and has the right to vote on decisions by the board, while the Japanese carmaker holds 15 per cent of the French company but doesn’t have voting rights. That imbalance has existed since the alliance was formed in 1999 as a way to gain scale against global competitors. Mitsubishi Motors was added to the pact in 2016. According to Japanese corporate law, Renault’s voting rights could be canceled if Nissan raises its shareholding to more than 25 per cent in the French carmaker. Under French rules, if Renault lowered its stake in Nissan below 40 per cent, then it will help the Japanese carmaker get voting rights in the French company.